Courtesy of Bay Area Real Estate Information Services, Inc.
Find Houses For Sale in Fairfax, California. Easily view larger house pictures, interactive maps, schools, and other important Fairfax area information. 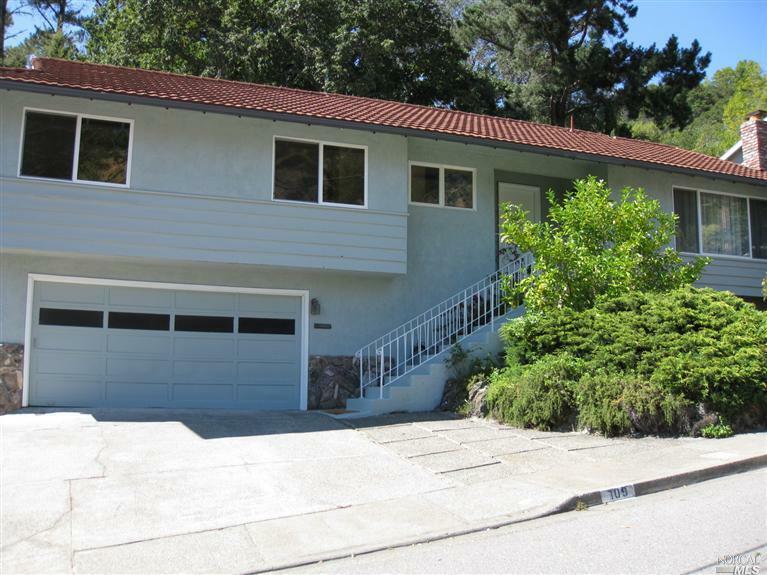 Searching for houses for sale in Fairfax, California? Whether it's a buyer's market or a seller's market, finding a house that meets your needs is a daunting prospect. How can you effectively weed through all the listings in your area to find exactly what you're looking for? HOUSESFORSALE.COM.VC will actually do the hard work for you, and since we provide you with access to over 81 house listings in and near Fairfax, you can be sure that you will find a house for sale that lives up to your standards. 3. Make a List of Your Priorities. Figure out what you absolutely need in a house and write it down. You can take that list to your Realtor, or use it on HOUSESFORSALE.COM.VC by searching for houses for sale in Fairfax, California with those parameters. High-level priorities that you can use in a search would include things like maximum price, number of rooms, lot size, neighborhood/school district, and/or style of the house (townhouse vs. single-family home, etc.). • Know your maximum budget (getting preapproved for a loan helps) so you don't waste time looking at houses for sale in Fairfax that are out of your price range. You could become emotionally attached to a house that you can't afford, and before you know it you're saddled with a mortgage that stresses you out every month. 5. Don't Forget the Location. Location is one of the most important factors in buying a house, and it's easy to forget about. No matter how much you love that pretty brick ranch that's 45 minutes from your job, if you're not used to the commute, you could eventually regret the purchase. Look in neighborhoods in Fairfax that are close to your job first, or that are close to family and friends, or even to public transportation stops. Once you've narrowed your search down to an area, see if you can narrow it down further to a neighborhood. Visit the neighborhood at different times of the day to see what the traffic and noise levels are like. No one wants to fall in love with an idyllic neighborhood and move in just to find out that the neighbors throw nightly block parties! Of course, your motivation for looking for houses for sale in Fairfax, California will also be a determining factor in how you search. If you're looking for a forever home, you'll need to keep in mind things like whether or not you will need room to grow in the house. However, if you're looking for houses for sale that are inexpensive that you can fix up and then re-sell, factors like loving the neighborhood or whether the house comes with appliances won't really matter to you. Whatever reason you have for searching for houses for sale in Fairfax, HOUSESFORSALE.COM.VC can provide you with a simple, easy, fast way to find up-to-date listings for exactly what you're looking for. Search by number of rooms, square footage, lot size, neighborhood, and more- whatever high-priority items are on your list. HOUSESFORSALE.COM.VC, when combined with the help of a trustworthy Realtor, will help you find the perfect property within your perfect time frame.